For the first time in four years WWF-Cambodia can announce the sighting of a new giant ibis nest in the Mekong Flooded Forest landscape (MFF). On 1st July 2017 local villager, Un Tei, spotted a nest in Koh Khnheer Commune, Sambo District, Kratie province and called the WWF-Cambodia office in Kratie immediately. Staff members visited the site to later confirm that it was a nest of a giant ibis. WWF-Cambodia can now begin their giant ibis nest protection scheme in Kratie province. The scheme involves recruiting local villagers to protect and guard the nest for the 70 day incubation period for a salary of $4 a day and $8 per chick if they are protected successfully. 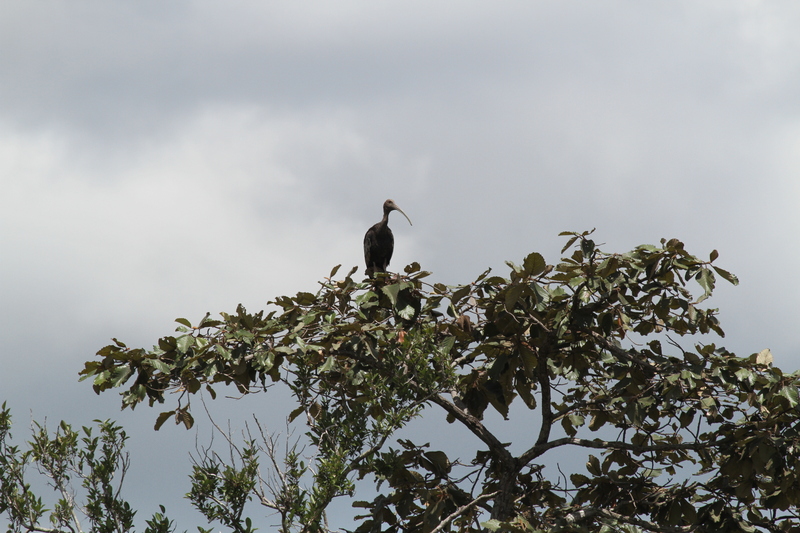 However, giant ibis are very shy, allusive birds and on average only produce two eggs per nest. WWF-Cambodia and the bird protection team are unable to tell how many chicks there are and if they survived incubation are until after they are born – making this a very exciting but tense time. Un Tei and villager Ly Channa will be responsible for protecting the nest for the incubation period, which involves setting up a camp and patrolling a 200m radius. As well as patrols, they are responsible from barring disturbances in the area and advising villagers not to go near. With the giant ibis site in an abandoned sugar cane plantation, it is an open and peaceful spot ideal for nesting. In conversation with MFF research staff 18 year old Ly Channa said the patrolling is going well but there are problems with trying to avoid deforestation of the surrounding area as well as sling shots being used to target the nest either out of jealousy or for food by other villagers. The giant ibis is a critically endangered species on the International Union for the Conservation of Nation (IUCN) red list. 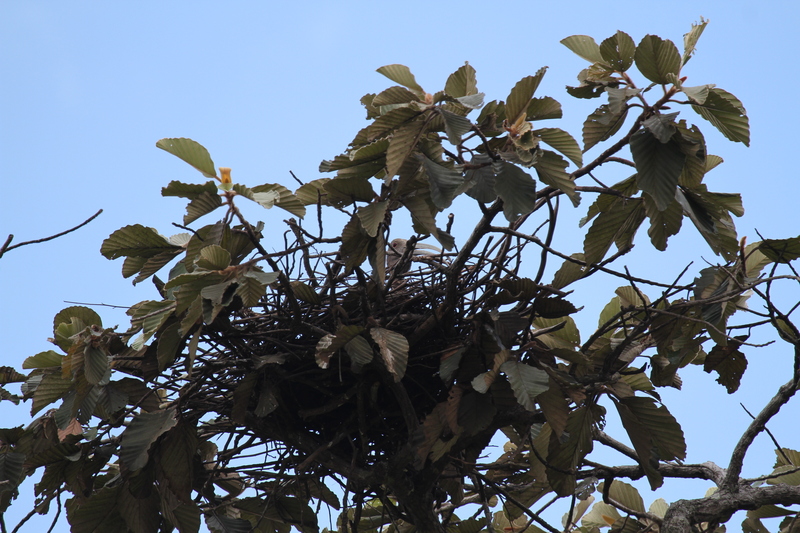 Bird nest protection schemes are implemented with four other endangered and protected bird species in the MFF (lesser adjutant, river tern, white shouldered ibis, and the red-headed and white rumped vultures). 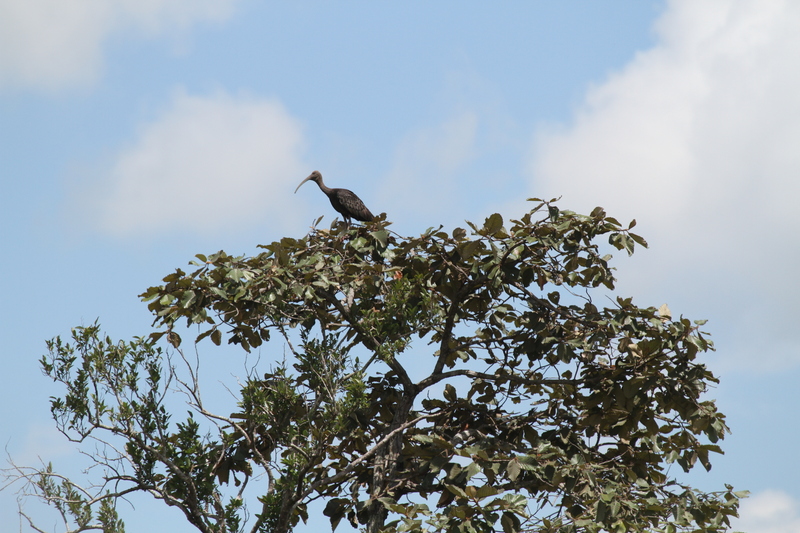 At the nest site, researchers also spotted five lesser adjutants so there is real hope for a new generation of giant ibis in the region. Despite being Cambodia’s national bird since 2005 only around 345 survive, with 90% in Cambodia, mainly in Preah Vinhear and Mondulkiri provinces. A declining population is due to habitat loss, hunting, disturbance, and lowland deforestation. First giant ibis nest spotted in four years’ sparks population increase hopes and kick starts protection programme.